US President Donald Trump threatened to cut subsidies given to General Motors in the wake of the company announcing its aggressive restructuring plan on Monday. GM announced on Monday that it planned to “unallocate” five plants in North America along with two other facilities outside the continent, plus a 15 percent reduction in its salaried workforce. Trump was irate yesterday following the announcement, first criticizing the automaker’s poor-selling products, then invoking the financial aid given to GM during the financial crisis. Mary Barra was even called to a special meeting with White House economic advisor Larry Kudlow. Now, President Donald Trump has even gone so far as threatening to cut all GM subsidies in retaliation for hurting Ohio, a state that was instrumental in his election to the White House. General Motors will wind down production of the Chevrolet Cruze sedan in Lordstown, Ohio in 2019. According to The Street, GM receives about $943 million a year in federal subsidies, but it’s unclear just how much of that can be clawed back. The news pushed GM shares down by 2.6% by the time trading closed on the New York Stock Exchange. We’re unsure how the threats from President Donald Trump will improve the market conditions for GM to maintain or create manufacturing jobs in the United States. GM executives are expecting the restructuring plan to generate cash savings of $6 billion by the time 2021 rolls around. However, some industry analysts predict that the savings might not be as significant as predicted, and may actually be partially offset by industry headwinds, such as consumer credit woes or rising oil prices. 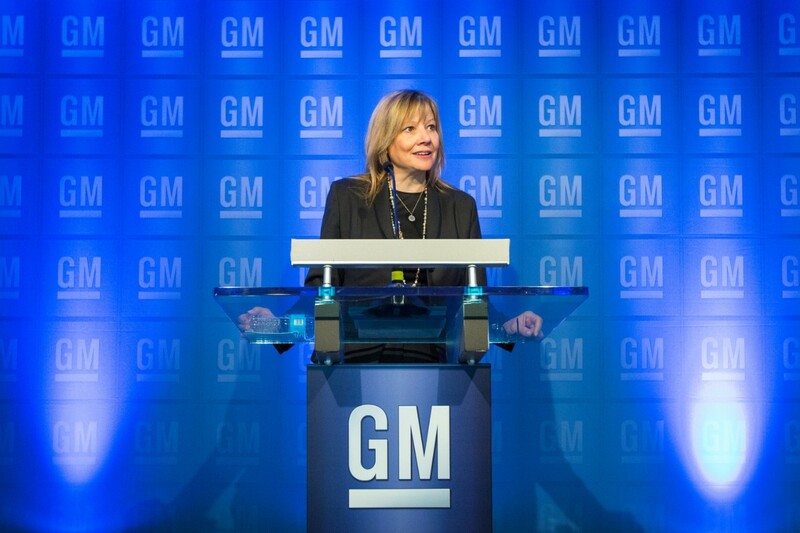 “We recognize the need to stay in front of changing market conditions and customer preferences to position our company for long-term success,” said Barra yesterday as part of her prepared remarks. is he talking about the $7500 EV tax credit? hahaha. his chief of staff john kelly was right … idiot. Please, just crawl back under whichever rock you crawled out from. since you asked nicely, i’ll take it under consideration. I have had it with GM. I have been driving only GM products since 1978. This year they stopped making my favorite truck, the full size regular car short box. Now they lay off 15% of the white collar employees 30 days before Christmas. The are more concerned about China and Mexico than the US. It’s time to switch to Ford. Denny,I completely understand your comment and feel the same way-it makes you want to switch brands. I’d say switch up if General Motors doesn’t allocate products to these plants to keep Americans working and end the trickledown effect of breaking homes,hope and livelihood. I,too,have driven General Motors vehicles most of my life and feel a betrayal since I also work in Lordstown. GM needs to invest in US,the same way we helped to bail them out and produced the Chevy Cruze,to ultimately assist in the crawl out of bankruptcy and repay the debt plus interest back. We currently have a campaign called,”Drive It Home”,which aims to garner support from Chevy consumers,businesses who are also affected by this restructuring plan,as well as communities which will be affected as well. They only give the numbers of people currently working and doesn’t include the employees who were laid off from the other 2 shifts,along with the 3 shifts of employees from our suppliers-gives the paltry count they give look utterly despicable. If you could do this one favor and spread the word about the Drive It Home campaign,which is also on our campaign Facebook page,it would be great! Thank you for your unwavered support all these years to GM’s products! Makes no sense to blame GM and Mary Barra. Trump loves beating up on everyone, why not his own voters that are not buying Ford and GM sedans? Definitely not upset with Ole Donny T on this one. I honestly wish he would cut funding for GM’s electric car development. Hell, I wish he’d make it illegal to own, drive or manufacture electric vehicles for pedestrian use along with fully autonomous vehicles. For GM to get rid of stodgy, cumbersome, front wheel drive vehicles plus cut out a platform that only one car uses is actually a smart idea. To be honest, the Impala died in 1996 and the Malibu died in the Mid 80’s. get over it. Unless GM is going to revive these names with RWD full and midsize cars then forget it. let the cars rest. It would be like Chevy making a front wheel drive hybrid 3-cylinder and calling it the Camaro. The problem with cars today is that car manufacturers don’t make cars that people want for one, don’t make cars that the average person can fix, or afford for two and they make cars that people can’t make their own for three. In a article from nbcnews.com from Nov 8, 2013 (yes its a little dated but still holds relevence) titled “For Gen Y car buyers, customizing their ride is key” by Paul A. Eisenstein, The author quoted Mopar CEO Pietro Gorlier by stating htat “Studies show that 49% of customers industrywide are willing to accessorize their vehicle when they buy them.” he went on to quote the CEO by saying “…..another 11 percent plan to do so later.” For the last several years, Dodge has continued to wow the states with their Challenger, Charger, Durango, Wrangler, and Grand Cherokee and now a Wrangler based truck will join the fray. Not to mention their Ram truck brand. Dodge has proven that good old fashioned American Muscle is still alive and well. Who but dodge has a 707hp SEDAN and a 707hp SUV, not to mention a 475hp rear wheel drive pushrod V8 powered SUV right up under that and they’re still selling like hot cakes. Why? because people love them. And its not just old people buying them young people love them and buy them too. Dodge killed off their front wheel drive lineup because there was no point to them, What people don’t want are front wheel drive boring sedans. People want real cars again. President Trump made a very interesting point when he made the statement “Very disappointed with General Motors and their CEO, Mary Barra, for closing plants in Ohio, Michigan and Maryland, Nothing being closed in Mexico & China. The U.S. saved General Motors, and this is the THANKS we get!” He has every right to be upset about this. But the U.S isn’t the only country affected by GMs drive to match Ford with the Chinese Market, Australia has been hurt as well. Don’t get me wrong I am all for businesses becoming global and being more on a level playing field but China is not the only market out there, nor is it more important than any other. Now, most of us who follow GM closely know that GM is planning to move to four vehicle platforms basically, the VSS-R, VSS-T, VSS-S and VSS-F. I would say cut it down to three platforms, VSS-R, VSS-T and VSS-F. I would also cut ties with Opel, drop Buick and focus on four major brands, Chevrolet, GMC, Holden (HSV) and Cadillac. In the North American Market, Holden would fall under the GMC umbrella and old a place similar to what Pontiac had a few years ago and it would serve as the car brand to the GMC lineup. The VSS-R platform would be the basis of the new performance car platform called Alpha-2 and breed cars like the Chevrolet Camaro, the Chevrolet Lumina, the Holden Monaro, the Holden Commodore, the Holden Clubsport and the Holden Maloo. The VSS-R platform would also serve as platform to new Models of Cadillac, which i will speak on further down the road. The next platform being the VSS-S Platform would hold a new lineup of Rear wheel drive based unibody SUVs and Crossovers such as the brand new Chevrolet Trailblazer (unlike the Australian version) as well as the GMC Acadia, the Chevrolet Blazer, the GMC Jimmy and two new Cadillac Crossovers. As far as engines and power trains are concerned, with everything having a longitudinal engine layout, there will no longer be a need for trans axles or anything from a front wheel drive architecture that currently leaves us with the new 10-speed automatic co-developed with Ford, an upcoming 7-speed manual also co-developed with Ford, and the Allison sourced units for the HD vehicles. There are two more units i would suggest, one being a 10-speed DCT for use in Cadillac only and the new unit for the mid-engine C8 Corvette, which should be moved to Cadillac to better position it in the super car market. As far as engines go, looking around the world, big cubic inch pushrod V8 engines are becoming very rare. In fact only GM and Dodge use pushrod engines and also engines that go beyond a 5.7L displacement. Although I love a pushrod Chevy small block, it is time for Chevy to move into the modern world and go DOHC. Toyota/Lexus have three nearly perfectly sized engines, the 4.6L DOHC, the Lexus 5.0L DOHC and the 5.7L I-Force DOHC. Not only that, Hyundai currently uses a 5.0L DOHC V8 in the Genesis lineup, not to mention the 5.0L DOHC coyote engine in the Ford Mustang. GM could actually stand have a DOHC 3.8L V6, a supercharged 3.8L DOHC V6, a 4.6L DOHC V8, a 5.0L DOHC V8, a 5.7L DOHC V8 and a supercharged 5.7L V8. The naturally aspirated 3.8L (232ci) V6 producing 350/320lb-ft torque would power vehicles such as the base model Camaro, lumina, Monaro, Commodore, clubsport, maloo, trailblazer, acadia, canyon, colorado, Blazer and Jimmy. The Supercharged 3.8L V6 would pack a magnuson supercharger ontop of the 3.8L V6 DOHC engine producing a total of 390hp/410lb-ft of torque and power vehicles such as the GMC Jimmy Typhoon, Blazer Xtreme, Colorado Xtreme and Canyon Typhoon, all of them backed by an AWD setup and a 10-speed automatic transmission. Above that would be a smooth running 405hp/390tq 4.6L (283ci) DOHC V8 powering not only the Camaro RS, Lumina GT, Monaro GT, Commodore GT, Clubsport GT, Maloo GT, Trailblazer (LT, LS, LTZ, High Country) and Acadia (AT4, SLT and SLE) but also the low end 1500 series trucks, Tahoe & Yukon). Above that would be the 5.0L (305ci) DOHC V8 with 485hp/450lb-ft of torque powering the Camaro Z/28, the Lumina Z/34, Monaro GTS, Commodore, Clubsport & Maloo GTS, the Silverado ZR2, Yukon AT4, Yukon Denali, Sierra 1500 Denali, Z71 Tahoe Blazer, Yukon GT and GMC Hummer H2 (all models). The DOHC 5.7L V8 would produce roughly 530hp and power the Camaro SS, the Lumina SS, the Monaro, Commodore, Clubsport & Maloo GTS-R, the Trailblazer SS & the Silverado SS. The supercharged 5.7L would power the Camaro ZL1, the Lumina SS-R, the Monaro, Commodore, Clubsport & Maloo GTS-V, the Silverado 1500 Cheyenne (ultra high performance ultra luxury pickup). All of these vehicles should have the 10-speed automatic transmission while some vehicles would get the upcoming 7-speed manual. Moving up from this we have four new Duramax diesel engines, a 2.5L Duramax turbo-4 diesel, the 3.0L Duramax twin turbo inline-6 diesel the 5.0L DOHC Duramax twin turbo V8 diesel and the 5.7L DOHC Duramax Twin turbo diesel. The 2.5L Duramax inline turbo diesel and the 3.0L Twin turbo inline-6 would power vehicles like the Colorado, the Canyon, and even the Trailblazer, Acadia, Blazer and Jimmy (the latter two receiving only the 2.5L Duramax Turbo-4 producing 225hp and 410lb-ft of torque while the 3.0 Duramax produces 305hp and 490lb-ft of torque. The 5.0L Duramax Diesel should put out 390hp and 550lb-ft of torque while the 5.7L would produce 460hp and 960lb-ft of torque. At this point, you have all of your basis covered and a lineup of five gasoline engines and four diesel powered engines all running clean, efficient and simplistic. All while being modern, competitively sized, lightweight, and emissions complaint. The last group of cars would be Cadillac. There should be nothing in Cadillac’s portfolio that even resembles a Chevy, GMC or Holden vehicle even if it’s on the same platform. There also should be nothing in Cadillac’s portfolio that doesn’t have a blackwing engine. What should be is that Cadillac return to its classic names, such as the Fleetwood Brougham, the Eldorado, the Deville and Seville along with the Escalade. Keep the naming simple and worry about producing world Class cadillac luxury and sophistication. The Corvette will be the sports car, the Eldorado should be a BMW 8-Series sized coupe, the Seville should rival the BMW 5-Series/Mercedes E-Class/Lexus GS while the Escalade becomes something all of its own. Art and Science should come together with the next Escalade to produce something truly unique. A full size SUV that can truly handle with poise and balance at any speed. This vehicle should be the Cadillac of Escalades. A sports car inspired full size SUV that still has adequate ground clearance but with a suspension and chassis that is dyanmic, not top heavy, inspiring, and 100% cadillac. The escalade should not fit into any mold and with a 600hp twin turbo DOHC V8 engine, a 10-speed DCT transmission, AWD, Huge Brembo brakes, Magnetic ride, staggered wheels and tires, aerodynamic, shape, slight nod to retro and an interior full of technology and luxury with the sportiest, most luxurious Grand touring seats every built by Recaro for a full size SUV along with a well bolstered heated and cooled steering wheel, a full console with an arm rest, a console grip handle instead of a shifter so that the driver will have that sporty feel of control, a more than impressive stereo system, heads up display, FLIR night detection and all the bells and whistles needed. On top of this, all of these cars should be global vehicles with strong markets in North America, Africa, Australia, Europe and China. Another thing is that GM should partner with more aftermarket companies for it’s GM Performance and GM Accessories lineup. Companies like Corsa, Borla, AWE, X-Force, Whiteline, AP Racing Brembo, Recaro, Bride, Bilstien, Rockford Fosgate, Pioneer, Kicker, MTX, American Racing, AFE, Magnuson, Holley, Oracle and Vossen. These companies would be major upgrades toe the GM performance and GM Accessories catalogs and since people love modifying their cars and still want to have warranties. Any parts from these companies that are GM approved and installed by a GM Authorized installer sold by a GM licensed distributor would keep the factory warranty. The last point I will make would be that with GM going down to really three different platforms, having six plants based in the US would be ideal. One in Detroit, one in Ohio, one in Pennsylvania, One in Wyoming, one in Arizona and one in Wisconsin. There should be three in Africa, three in Europe, three in Australia and three in China. With that, there should be two GM headquarters in the US (one in Detroit & one in Arizona, a GM headquarters in Africa, Australia, Europe and China. This way you cover the four corners of the world and give people what they want in their choices of vehicles all backed by the reliability of a GM product. I agree with almost all of vanmbondjr’s comments and for the most part these comments should form GMs future. However the Holden brand should not be included. GM needs to keep its bands to an absolute minium. Holden as GM brand is only a new comer having only exist for 70 years. The Holden brand has a very limited following in Australia and currently holds than 3% of the Australian market. Outside of Australia the Holden brand is meaningless. GM must build its future on just 3 brands. Those being CADILLAC, CHEVROLET and GMC. These brands can cover every market and if developed correctly can become internationally known and appreciated. Bottom line is, Retire the Holden brand.